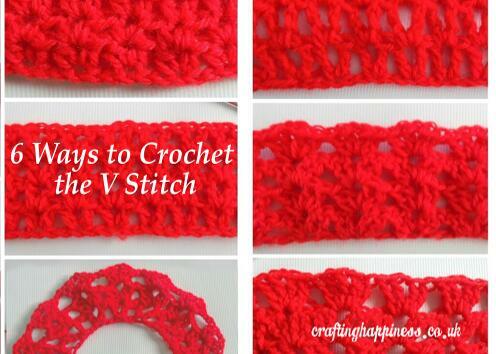 The V stitch is one of the basic patterns we use in the crochet world. 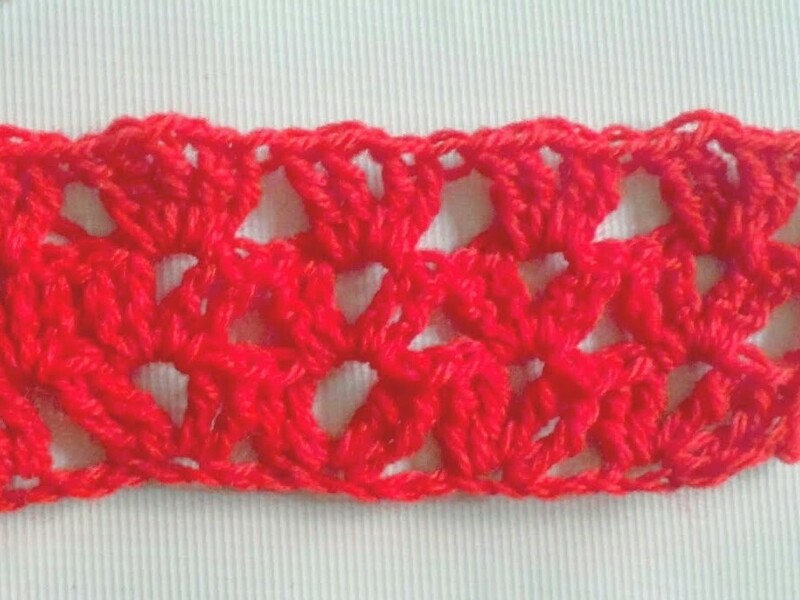 It is a versatile and easy stitch to work, does not require you to focus much on what you are doing because of its repetitive pattern, just like the classic granny square pattern. Depending on the variation, the V stitch pattern is made of half double, double and treble crochet stitches, all separated by chain of one or two. The V stitch pattern has a beautiful intricate lacy look, can be made flat for blankets, shawls and pieces of clothing, or curly for borders, flowers, fluffy scarfs or novelty decorations. 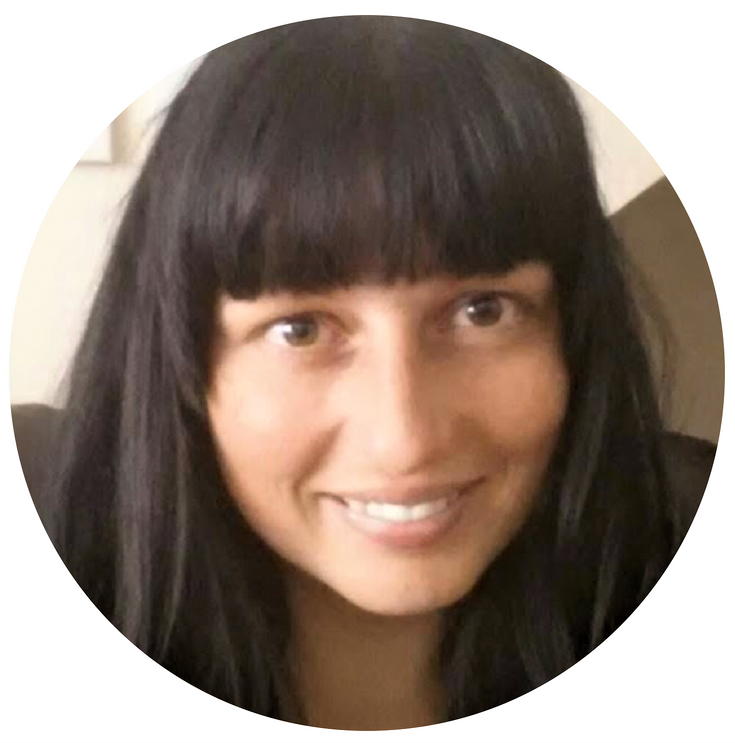 I have listed the pattern for each variations, some of it is repetitive, but I think it will be easier for you to follow the pattern for the variation of your choice without having to go back and forth to the main stitch which is the classic V stitch. 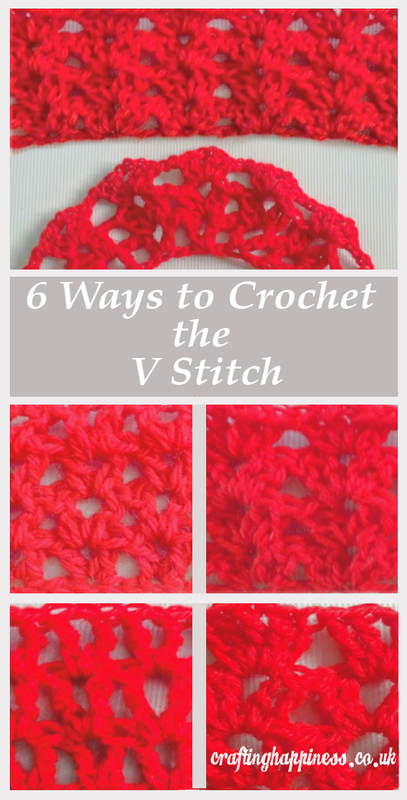 The classic V stitch pattern is made of two double crochet stitches separated by one chain. The side borders are 2 double crochet stitches cast in separate chain (except the first leg of the border which is a chain of 3). Step 5: dc, ch1, dc to create the V stitch. Continue with as many rows as you like, following the second row pattern. The treble V stitch is made of two treble crochet stitches separated by one chain. The side borders are 2 double crochet stitches cast in separate chain (except the first leg of the border which is a chain of 4). The pattern created this way is lacy and airy. Step 5: tr, ch1, tr to create the V stitch. 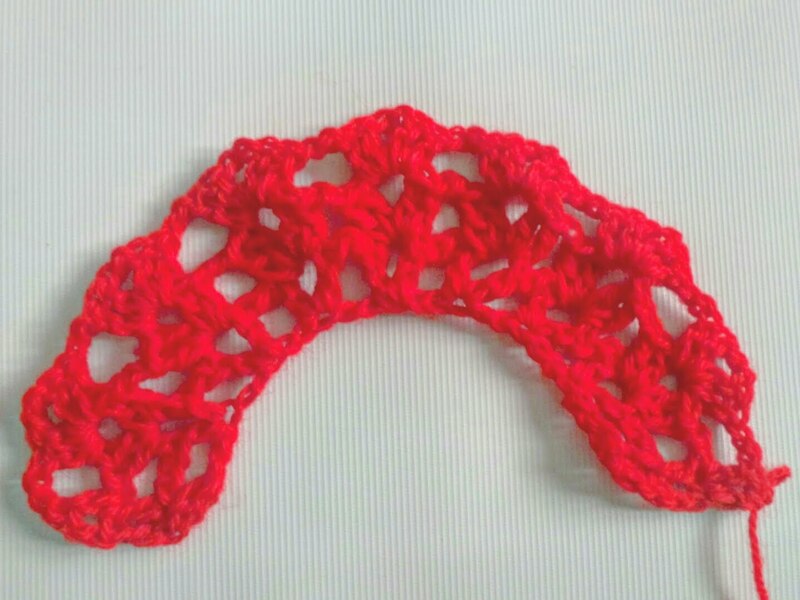 The double classic V stitch is made out of 4 double crochet stitches separated in the middle by one chain (2 double crochet stitches on each side). This stitch is similar to the classic one with the exception of the extra double crochet on each side of the V which in turn will modify the pattern for the second row onward, you will have to skip 3 chains instead of 3. Step 5: dc, dc, ch1, dc, dc to create the double V stitch. Continue with as many rows as you like following the second row pattern. 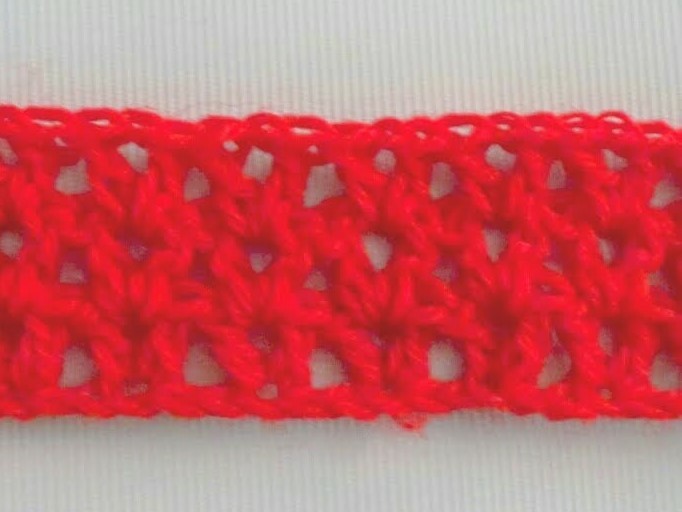 The double treble crochet V stitch is made out of 4 treble crochet stitches separated in the middle by one chain (2 treble crochet stitches on each side). The side borders are 2 treble crochet stitches cast in separate chain (except the first leg of the border which is a chain of 4). 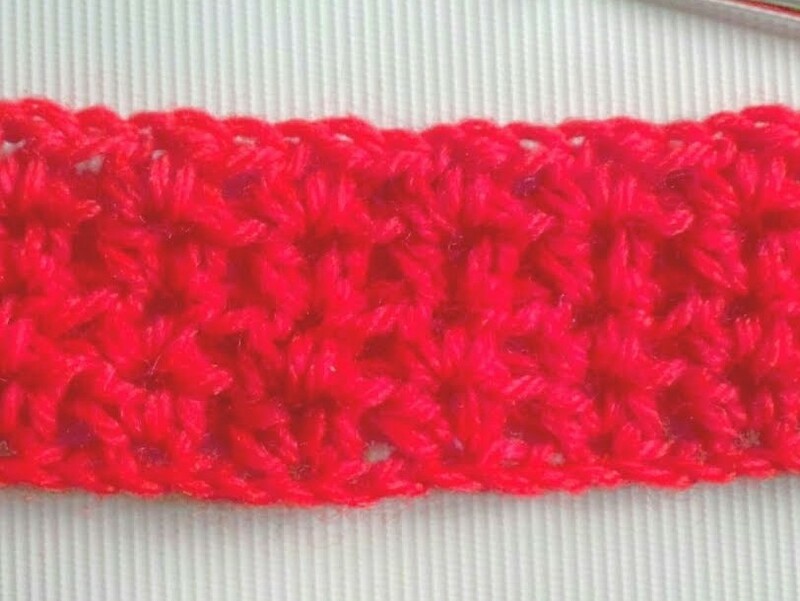 This stitch is similar to the double classic v stitch, just replace the double crochet stitches with the treble crochet ones. The only difference is the number of cast chains and the number of chains cast to form the first leg of the border which is 4 instead of 3. Step 5: tr, tr, ch1, tr, tr to create the double V stitch. 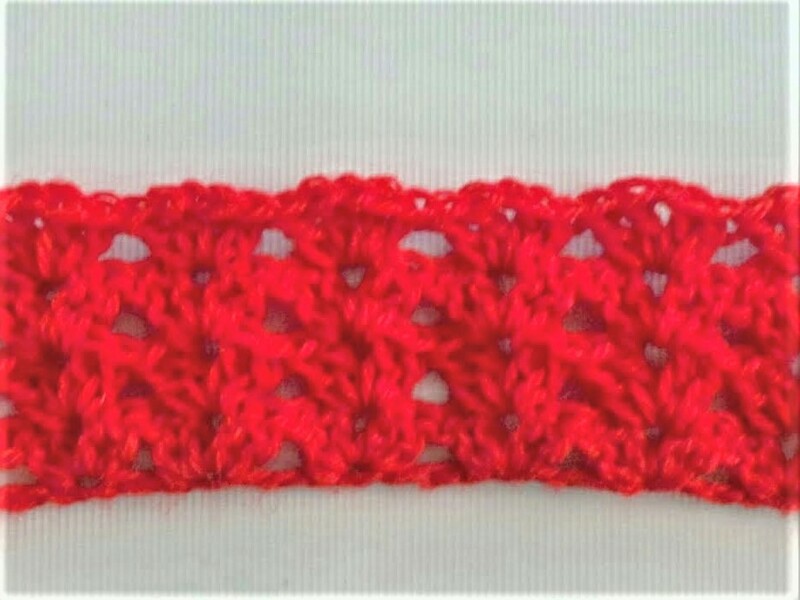 The half double crochet V stitch pattern is made of two half double crochet stitches separated by one chain. The side borders are 2 half double crochet stitches cast in separate chain (except the first leg of the border which is a chain of 2). The pattern created this way is more compact and textured. Step 5: hdc, ch1, hdc to create the V stitch. 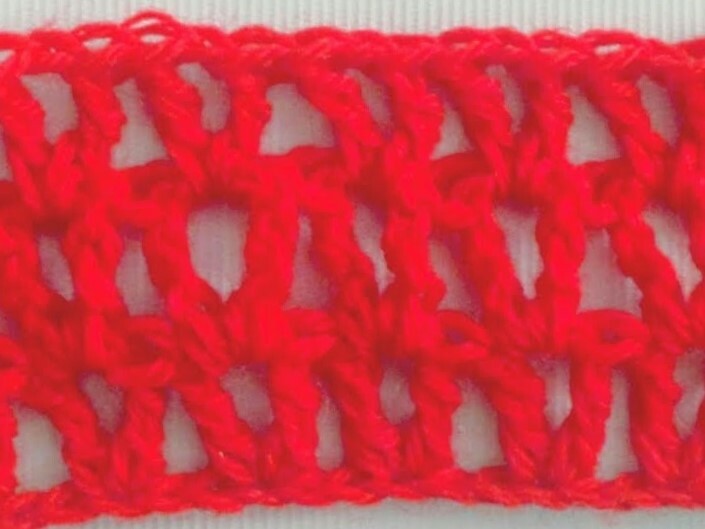 The curly V stitch pattern is made of two double crochet stitches separated by a chain of 2. The pattern created this way will coil around itself. If you want it to be extra fluffy, add an extra double crochet stitch on each side of the V stitch ( dc, dc, ch2, dc, dc), starting with the second row. Below you can see a picture of this variation. 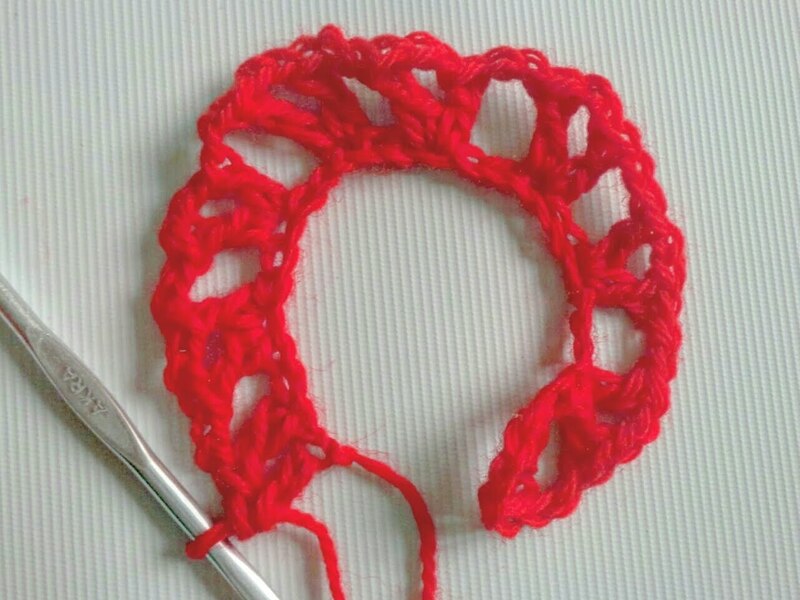 You will be crocheting a double v stitch in each of the loops formed by the V stitches in the first row, but also in the spaces between the V stitches. There are lots of other variations, but these are the main ones. Once you master them you will be able to create your own variations.